O God, the everlasting Creator of all things, I pray for the souls of unbelievers, for they were made by you and formed in your image. Jesus, your Son, endured a most bitter death for their salvation. Permit not, I beseech you, Holy Lord, that your Son should be any longer despised by unbelievers, but accept the prayers of those who remember them and be mindful of your mercy. I pray you to forgive their idolatry and blasphemy, in the hopes that they too may some day know Him whom you have sent, the Lord Jesus Christ, that they may yet be redeemed and delivered, as was always the deep desire of your Son. 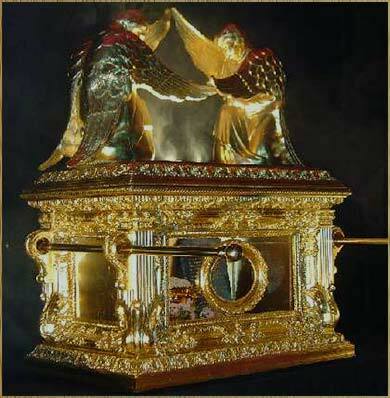 Replica of the Ark of the Covenant, as described in Exodus 25. You would think that everyone would leap at the chance to get rid of sin. Not so. They want relief, not a cure. The Lord said to Moses, “Speak to the people of Israel, that they take for me a contribution. From every man whose heart moves him you shall receive the contribution for me. And this is the contribution that you shall receive from them: gold, silver, and bronze, blue and purple and scarlet yarns and fine twined linen, goats' hair, tanned rams' skins, goatskins, acacia wood, oil for the lamps, spices for the anointing oil and for the fragrant incense, onyx stones, and stones for setting, for the ephod and for the breastpiece. And let them make me a sanctuary, that I may dwell in their midst. Exactly as I show you concerning the pattern of the tabernacle, and of all its furniture, so you shall make it. "They will make me a holy place, that I may dwell among them." (Exo. 25:8, NLT) God gives the Hebrews seven chapters of instructions in Exodus about the details of how they shall worship, beginning with this chapter, which describes exactly how the primary four items of furniture should look. The first and most important, by far, is the Ark of the Covenant, which contains the law inscribed on stone tablets. This is the focal point of the tabernacle, the Holy of Holies, so sacred that, eventually, nobody will even see it except one priest, once a year. And so, where does God live? God lives in His Word. The tablets themselves are simple slabs of stone filled with writing. The lavish structures are outside, surrounding it, so that the people will know the importance of what is within, but the actual sacred object representing God's presence are words. Daily Prayer places great emphasis on the importance of minimizing division between Christian denominations, and the structure of the tabernacle is a good illustration of what is most important. We have been freed from literal compliance with the laws of Moses and no longer must build elaborate structures where God may live among us, for we were given the Living Word, in the person of Christ. But we must not look on our neighbors' places of worship with disapproval, for we commit the sin of pride when we do. Notice that the tabernacle contains graven images, golden statues of cherubim complete with wings, certainly something that lives in the "heavens above". 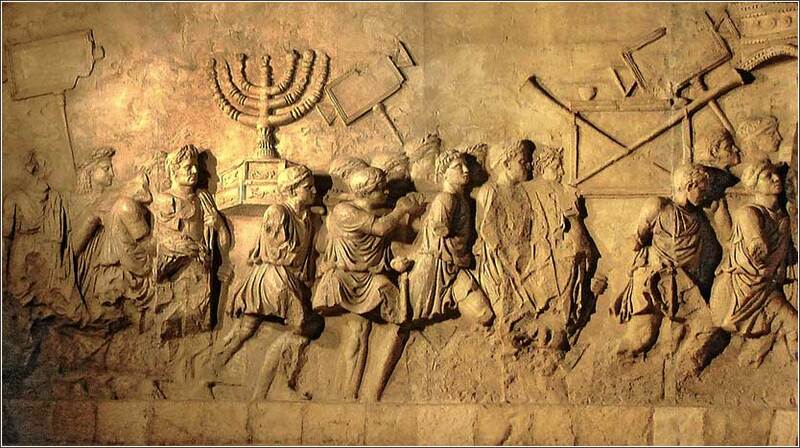 Moreover they are right at the center of Hebrew worship. It is not right to criticize those who worship in simple and plain surroundings, for we are released from literal compliance with these chapters of Exodus (and all the law of Moses). And by reference to the apostles, they often worshipped in the simple rooms of a church member. But on the other hand, neither can we criticize any church with elaborate decoration, made of gold and other precious materials, for God clearly authorizes it to be done, even to the point of instructing the Jews to make golden statues of angels. If we read Exodus with no preconceptions, no personal axe to grind, we must conclude that the prohibition against graven images was meant to forbid making and worshipping heathen gods (as will be specified in Exodus 34). So the zeal of the Puritans, who ransacked Catholic and Anglican churches, destroying stained glass and crucifixes and statues of saints, was misguided. But the primary thing to take away from this chapter is that even in the most elaborate and ornate setting is only window dressing for what we are worshipping: God's presence in His Word. Genesis 2:3: God blessed the seventh day and sanctified it, because on it He rested from all the work of creating that He had done.